Jan Koum founded popular messaging app WhatsApp alongside Brian Acton in 2009. The company was sold to Facebook in February 2014 for the staggering sum of $19.3 billion, earning Koum a payday in the region of $7.5 billion. What do you do with such vast wealth? Invest in classic cars of course! Koum has accumulated a huge number of vehicles. He is known to have a collection of Ferrari’s and Porsche’s. Ferrari Magazine once profiled him, revealing his Ferrari F12tdf and Ferrari 458 Speciale. It seems Koum is making space in the Porsche section of his garage as he seeks to offload 10 unique Porsches at the Gooding & Company’s Amelia Island auction which takes place in Florida on 8 March 2019. Part of a trio of Carrera RS models, the 964 Carrera RS is one of 1910 lightweight Carrera RS produced. This one is powered by an M64/03 air-cooled, dry-sump horizontally opposed SOHC six-cylinder engine producing 260 hp. 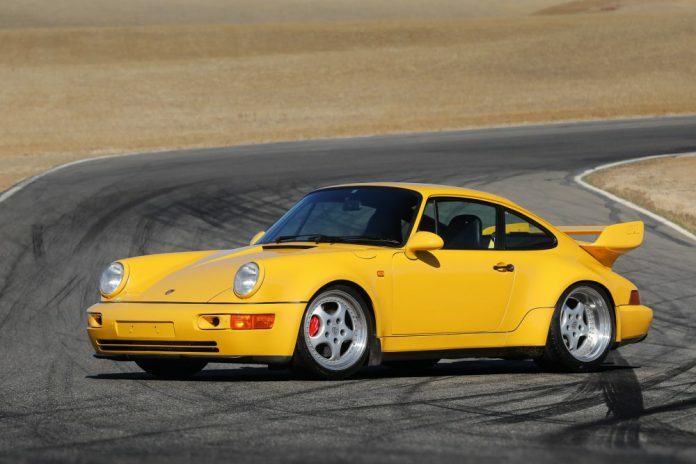 It did away with the 964’s electrically assisted steering and was fitted with a manual race. 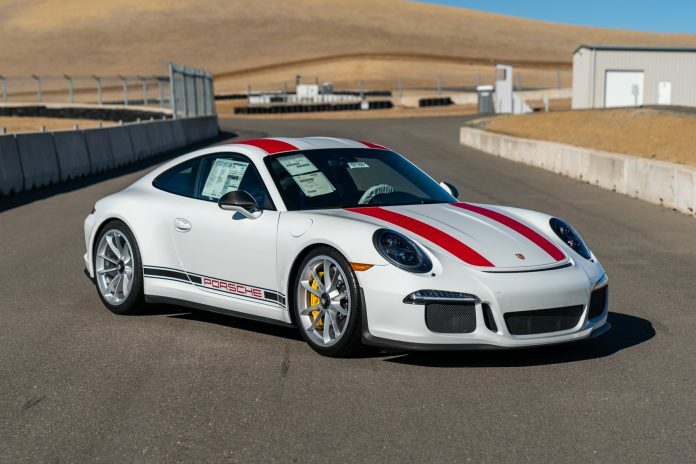 Air conditioning, power-adjustable seats, cruise control, an entertainment system, and sound deadening and insulation were also dispensed with to save weight. 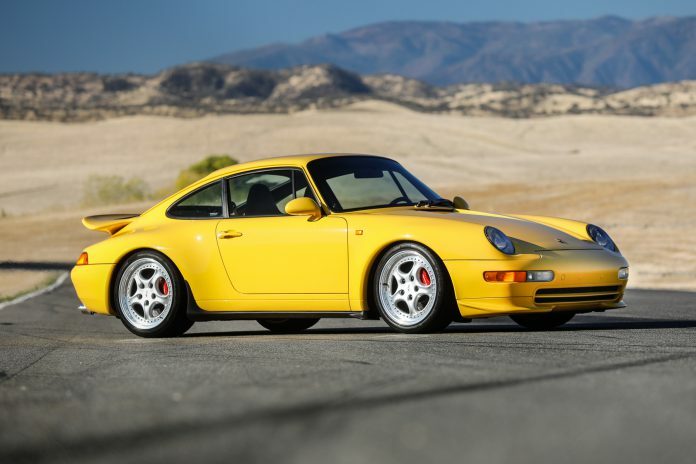 The 1993 model, finished in Speed Yellow, is even rarer, just 55 were built, 12 in this colour. 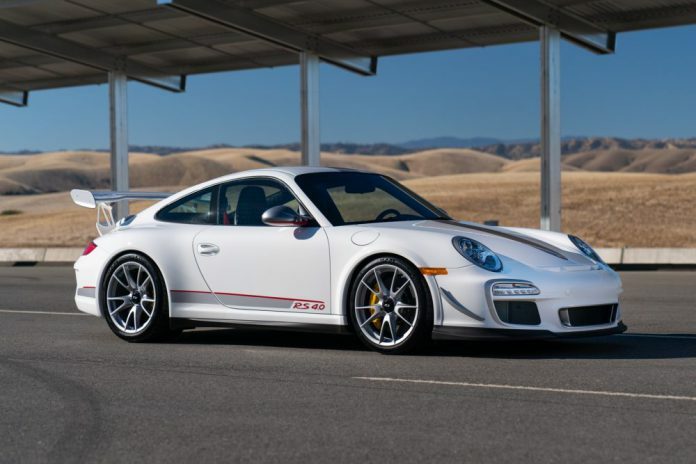 The cars served as the homologation base for the 3.8 RSR for international competition. It is expected to sell for in excess of $1 million. 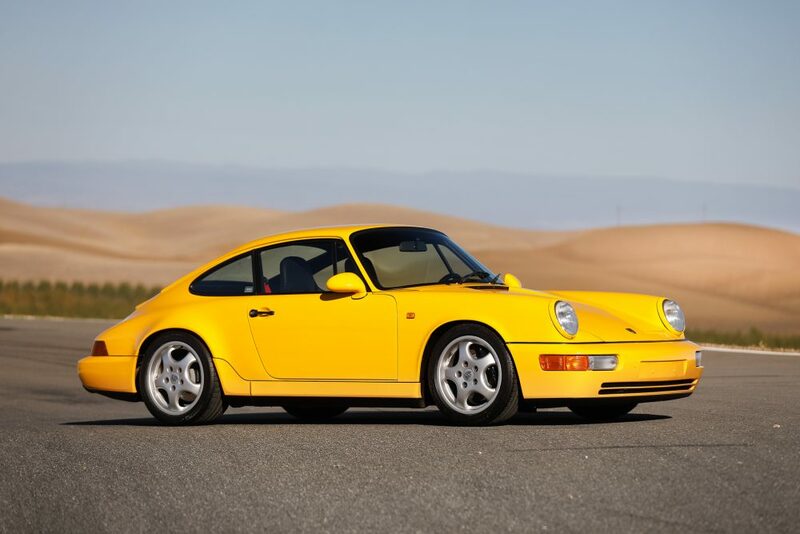 The third Speed Yellow model was the final air cooled Carrera RS model. Featuring the same 3.8 litre six cylinder engine as the 1993, it had 300 bhp. Around 1,000 of these were built. 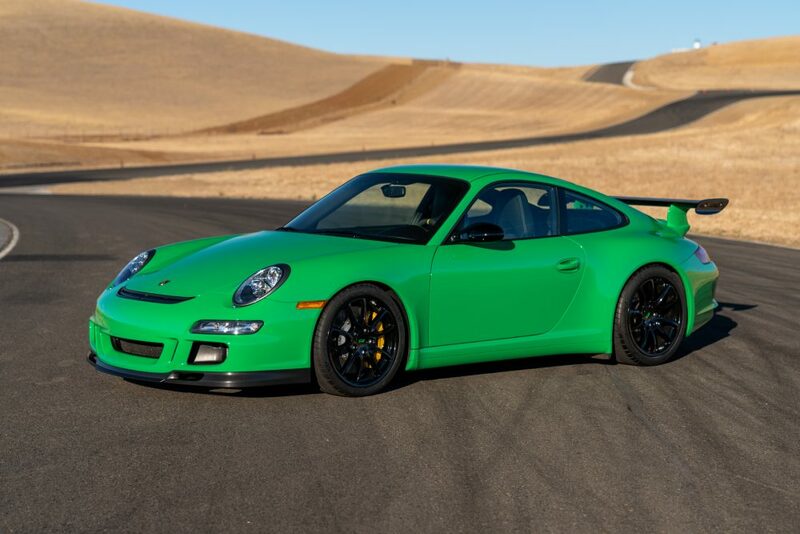 One of just 53 North American cars in RS Green, this one has travelled 12,000 miles. Another highly valued RS car. 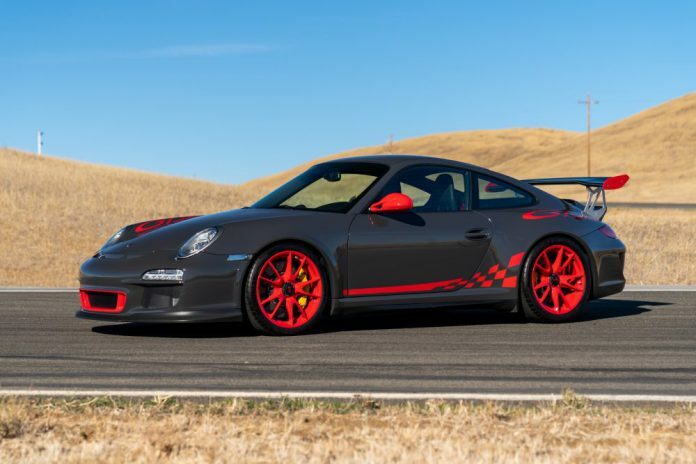 It is the second version of the GT3 RS for the 997 platform. One of 600 built, 158 went to the North American market. 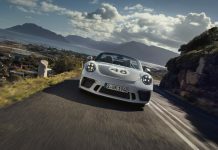 It is claimed that this is the only one fitted with the combination of carbon ceramic brakes, red and black interior and adaptive sport seats. It has just 150 miles on the clock. 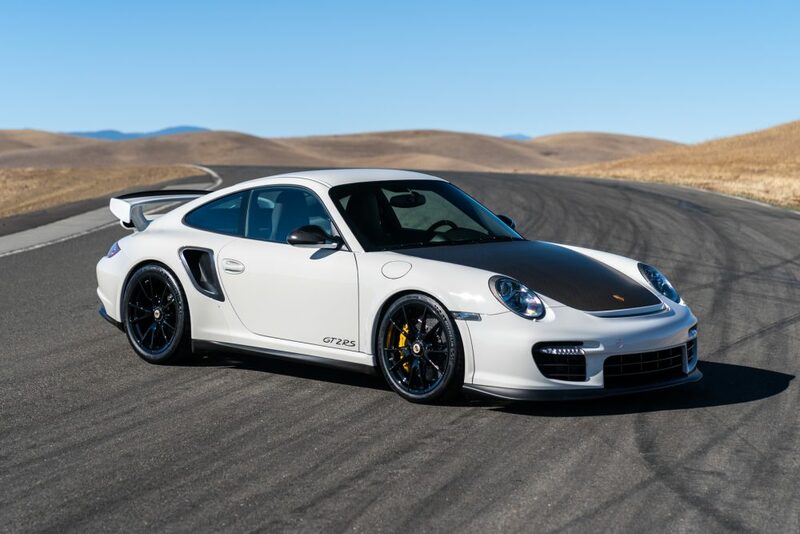 Another ultra-exclusive modern Porsche. Just 500 were built and this one has rare carbon fibre fenders. Moving to the more modern machinery. This Porsche 918 Spyder has just 20 miles on the clock. 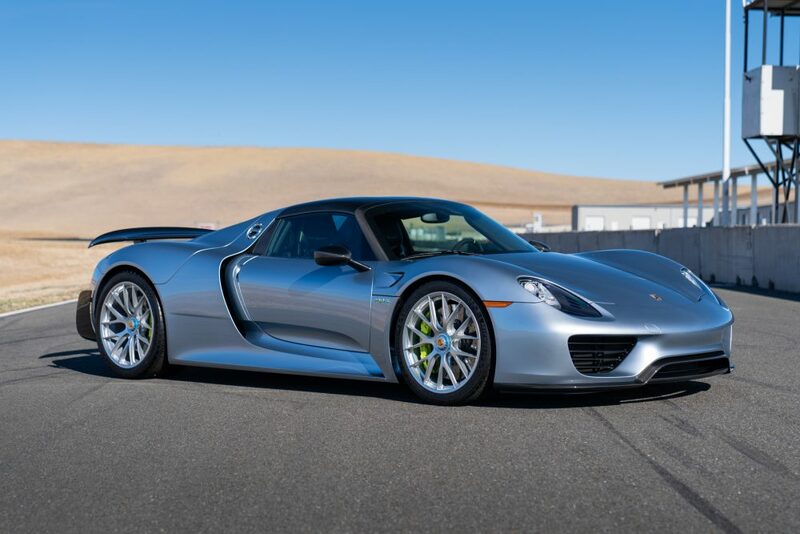 Finished in Liquid Metal Chrome Blue, it has the Weissach package. Our perfect combination. 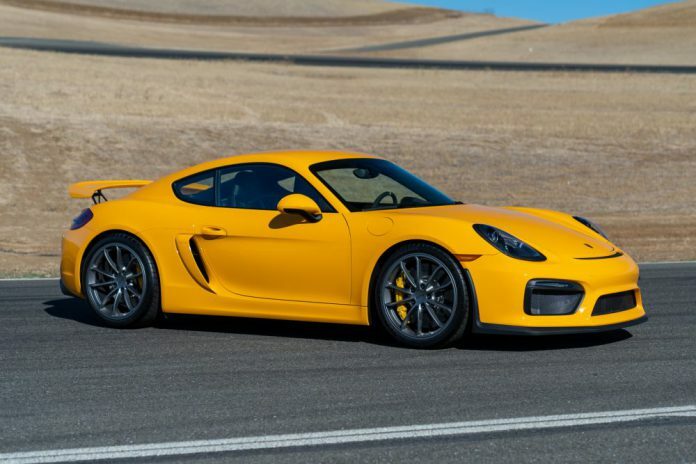 This Signal Yellow GT4 has carbon ceramic brakes, carbon fibre bucket seats and comes with a lightweight battery and radio delete option. One of 991 examples built, this one has delivery miles and delivery packaging from the factory. It has never been used.